Renault Magnum (and Premium) board computer. Have own sound, engine brake indicator, cruise control indicator, low fuel warning animated window. Special thanks to knox_xss for help and support. Вот потихоньку и на Магнум для 1.25 что то появляется.кстати может кто подскажет как с knox_xss связаться? Всего-то проблем сделать шрифт с полной поддержкой юникод. OMG,how you make mods like this? !This looks AWESOME!! 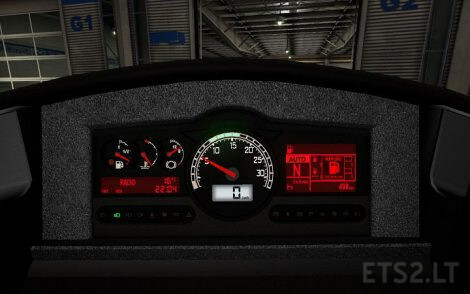 !Pls make display mods for every single ETS 2 truck!Your display mods are best!! !